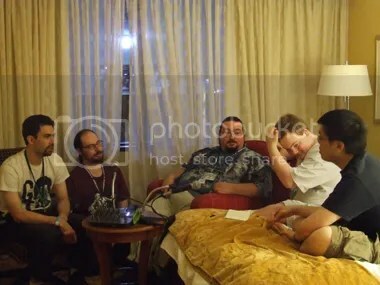 In this edition of Crime Scene Investigations, we talk about our experiences on Friday at Otakon 2011 with Basil and Kevin of the OSMcast, Patz from Insert-Disc and Podlabor, and Carl from Ogiue Maniax. There is discussion of the Otakon Game Show, Angel ScandyS, Makoto Shinkai, Masao Maruyama, CLAMP, Remembering Satoshi Kon, and Art of Akira. Of course we discuss memes, sandwiches, and the little things we both love and hate at the convention. By the way check out the transformation of opinion over the Ice Cold Water guy from this to this.